Glass House, LLC. 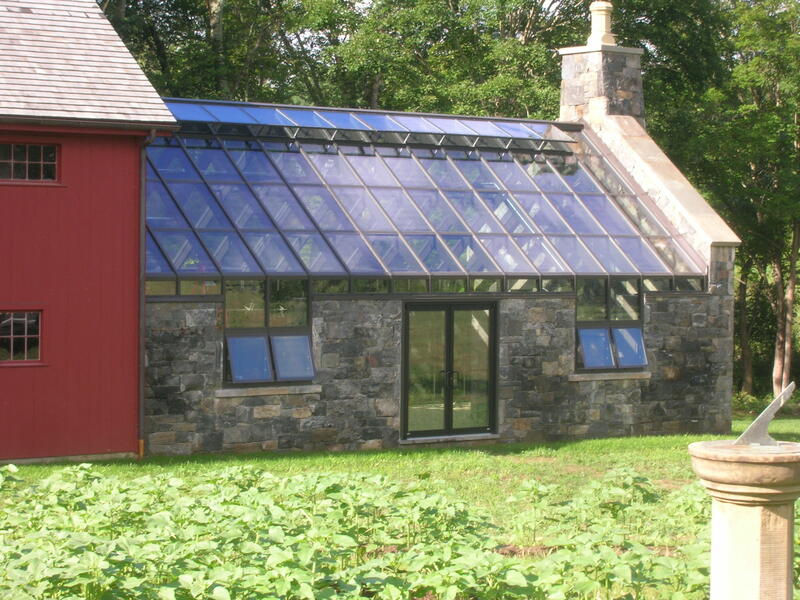 focuses on Conservatories, Skylights, and Solariums. We are a leading custom manufacturer of richly profiled wood-framed and aluminum conservatories made in the United States. Since 1983, our staff has worked with architects, builders, and homeowners in the design and construction of glass and frame structures. Our pre-fabricated units are amongst the most flexible designs available today. With versatility in wood framing, we offer possibilities of different trim-profiles and molded-framework in order to adhere to specific or pre-existing conditions. Each wood unit is handcrafted using the finest grades of wood with standard 1″ double-insulated safety glass and we offer high-performance glazing options. Low-maintenance aluminum or copper exteriors with ornamental options are also available. We also feature quality and energy-efficient aluminum framing. Our tubular-aluminum system provides a clean, uncompromised look that is maintenance-free. This product is standardized with various customizable capabilities suited for commercial, residential, and horticultural functionalities. Glass House, LLC. has the ability to design, engineer, and fabricate individually tailored projects with a diverse choice of styles, materials, and finishes. While we understand that the consumer is quality and budget conscious, we have and always will continue to coordinate these two points with outstanding and satisfactory results. We are a unique and longstanding company that strives to remain 100% customer oriented.